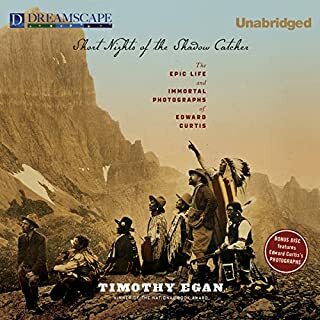 At once an incredible adventure narrative and a penetrating biographical portrait, Egan's book tells the remarkable untold story behind Edward Curtis's iconic photographs, following him throughout Indian country from desert to rainforest as he struggled to document the stories and rituals of more than eighty tribes. Even with the backing of Theodore Roosevelt and J.P. Morgan, it took tremendous perseverance. The undertaking changed him profoundly, from detached observer to outraged advocate. Egan leads us on an unconventional, freewheeling tour: from America's oldest continuously inhabited community, the Ancoma Pueblo in New Mexico, to the high kitsch of Lake Havasu City, Arizona, where London Bridge has been painstakingly rebuilt stone by stone; from the fragile beauty of Idaho's Bitterroot Range to the gross excess of Las Vegas, a city built as though in defiance of its arid environment. When Brunella Cartolano visits her father on the family vineyard in the basin of the Cascade Mountains, she's shocked by the devastation caused by a four-year drought. Passionate about the Pacific Northwest ecology, Brunella, a cultural impact analyst, is embroiled in a battle to save the Seattle waterfront from redevelopment and to preserve a fisherman's livelihood. But when a tragedy among fire-jumpers results from a failure of the water supply - her brother Niccolo is among those lost - Brunella finds herself with another mission. He follows their desperate attempts to carry on through blinding black blizzards, crop failure, and the death of loved ones. 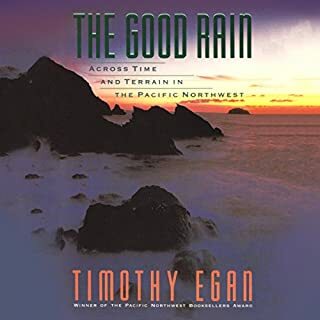 Drawing on the voices of those who stayed and survived, those who, now in their eighties and nineties, will soon carry their memories to the grave, Egan tells a story of endurance and heroism against the backdrop of the Great Depression. 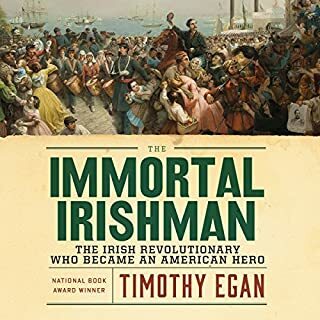 Egan captures the very voice of the time, its grit, pathos, and abiding heroism, as only great history can. 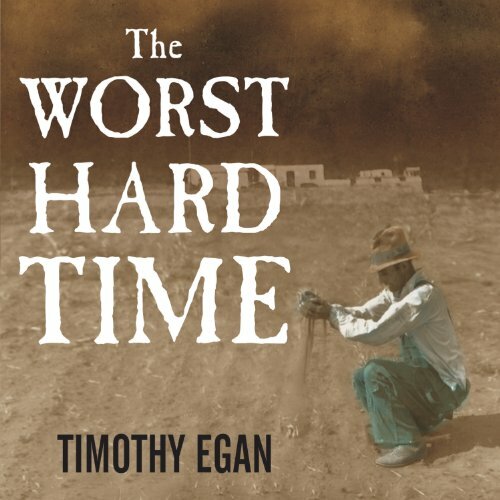 Combining the human drama of Isaac's Storm with the sweep of The American People in the Great Depression, The Worst Hard Time is a lasting and important work of American history. This book is so well written and researched that for me it opened my eyes to a region of America that I knew little about. The story telling added human texture and a deep understanding of the disaster of the dust bowl. I came away from the book able to clearly see why and how it all happened. But more than that I learned about how Oklahoma and the plains were settled. The strength of the people who moved there and stayed there-- no matter what. Storms, isolation, drought, you name it, trouble of every kind and they coped and stuck with it. The book was clearly written by a man totally in love with the place--it shone through on every page. It wasn't an easy story to hear--lots goes wrong--but it was worth it. The best kind of history lesson is a story well told. This book draws the reader in and captivates. Excellent narration. Highly recommended. The Grapes of Wrath seemed like a hard time, but this story is much, much worse. It's hard to imagine how people could remain living in a place where the elements were so unkind to them. It is a great lesson about Mother Earth's payback when we misuse her bounty. This book fits my 2 favorite criteria - historical & novel. It taught me backgound history about my country that I never learned in school, neither did my husband, nor my brother-in-law, nor my son. I'd often heard about the "dust bowl" without ever really understanding how it came about; its impact on the physical charactistics of the land or the psyche of its people. I knew that many inhabitants of the area tried to distance themselves if they were unfortunate enough to have been born there, but never understood why until I had lived with these people and internalized their everyday hardships & unbelieveable heatbreak. The author does an excellent job of intertwining the devastation of the local people, all the while giving you hope that perhaps someday things would get better. It is one of the finest accounts of American history that I have ever resd. For someone whose knowledge of the Dust Bowl era consists of watching the movie "Grapes of Wrath", I found this book to be a fascinating look into the "dirty thirties", as this period in time was called. By the end of the book, I was very glad I had chosen this selection. The author does, however, jump from historical facts to personal accounts, making the listen a bit confusing at times. I also felt that the narration was a bit rushed. Overall, though, if you like to read about what I call "neglected history", this would be a good choice. Out of the 12 books I bought this year, this was my favorite. It's the perfect kind of history book: very informative, but written through the eyes of the people who were there. So you come away with both a detailed yet grand understanding of the Dust Bowl. It's also not one of those history books that reads like dry toast. I couldn't put it down. If you like John Steinbeck's books, you'll love this one. Tim Egan is a great storyteller. This narrarator was also great. I went out of my way to find other books he's read. But I'm not as picky as many listeners are. 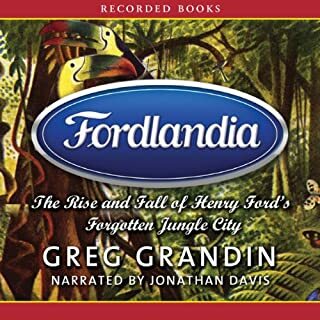 Outstanding book of history, narrative history nicely mixed with pieces of economic history (but not boring) and lessons about the connections between economics and the environment (thankfully not preachy at all). 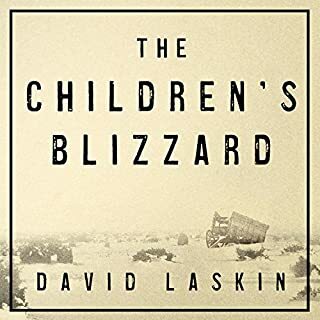 The author weaves ordinary history by narrating the lives of the affected people on the Great Plains, relying on recollections, diaries, letters, contemporary (mostly local) news accounts, so that the reader is successfully sucked into the time itself. I came away with a new appreciation of what I had already read, or heard, or seen in the popular media (most affectingly the great movie version of Steinbeck's "Grapes of Wrath"). I highly recommend this book (I have already bought 2 hard copies to send to others in my family who, unfortunately, have yet to buy iPods). The narration is also excellent. Some reviewers compared this book to "The Grapes of Wrath," which although fiction, gave one family's experience of the Dust Bowl Era. If you're looking for a ficionalized book, this is not for you. But if history is your genre, this is a must read. My family were inheriters of the Great Dust Bowl, and many found there way to California and Colorado to escape the tragic living conditions, especially for poor migrant farm workers. But some in my family stayed in Oklahoma and Arkansas to weather the storm, and many still remain. I had NO idea how pervasive this cataclysmic event was to our nation. This book was told with captivating narrative, with an excellent reader, whom I will search out again. I was blown away, so to speak, by the intensity of these huge black clouds and mounds of dirt piled high like snowdrifts, and silt suffocating the lungs of man and beast. Much is even told of the effects of the climate on areas as far east as New York City. Unreal!!! This book almost rated a 5 star from me, but at times it was a little dry with it's littany of hisorical facts. But I highly recommend it to anyone who wants to know the horrors of what man can do to the environment in such a short time, while devasting his own life, his communtiy and into the far realms. Makes me think more seriously about our part in global warming. Hmmm! Having read Upton Sinclair's "The Jungle" I didn't think I'd ever come across another book that so graphically described the pain so many of our forefathers had to endure just to eak out a living in a country with so much abundance. The fortitude of these pioneers is beyond belief. This is not just a historical account of an era in America's history it will move you to your sole. The Great Depression was depressing, just know that before you download this selection. With that caveat in mind, this is a masterfully researched, well written tale of an important, but under studied area of American history. However, it is essentially the tale of a small group of well meaning people going from hard earned success to travail, disaster, and ruin. It is a little like reading an American Book of Job set in the Texas Panhandle without the uplifting ending. There is no redemption. I wish he had gone on told a few more stories of personal success at the end even if it they were stories of people that left the Great Plains or maybe served with distinction in World War II or something. However, I am certain that was not his point. His point was to show how development without concern for ecological consequences can, has, and will again lead to social and economic disaster. If you live or grew up in that great swath of the United States from Central Texas to North Dakota this is something you should make yourself read. It will answer a lot of questions that you have probably considered in passing about the development of the Great Plains and, more importantly, how the area should be developed today. 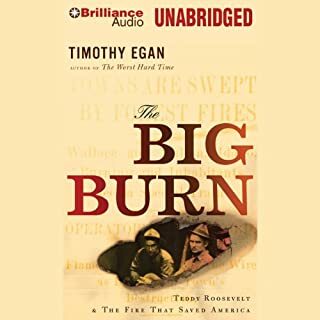 If you enjoy clear-eyed views of some of the tragic mistakes made in our country's past--and insight into how we could avoid repeating them today--this is a good listen. Is it bleak? Well, yes. But that's a lot of the point. Sometimes people seem heroic in their ability to withstand hardship, but sometimes they lose sight of when they really need to quit. [Eg. when you, your animials and children are dying, that might be a good time to get out.] There's a lot of both in this tale of survival in places where people just shouldn't have been settling and doing the things they did to the land. One note on the narration. I think you either like Patrick Lawlor's style or you don't. I personally became annoyed with his voice imitations (especially of women and regional accents) and his overall style, to the point where it began to color my view of the book itself. About halfway through I realized it reminded me of another book I'd listened to, but couldn't place it. I looked back through my Audible library and found it: "Three Cups of Tea." Sure enough, Patrick Lawlor narrated it. Now I wonder whether my unfavorable impression of *that* book was because I found Lawlor annoying then too. Suffice it to say, his narration style does not work for me, and I will be mindful to check the narrator as I purchase Audible books in the future.